California has a number of statutory payment remedies available on construction projects. Some, such as the mechanics lien, are relatively well known and often utilized. Others, such as the stop payment notice, are somewhat less so. However, there’s one statutory payment remedy you may not have heard of at all. And that is, security requirements for large projects. What is security for large projects? Less Than Fee Interest, Including Leasehold Interest, and Contract of Greater Than $1 million: The owner contracting for a work of improvement holds less than a fee interest (including a leasehold interest) in the property being improved and enters into a construction contract for the improvement of the property greater than $1 million. Note: A “fee interest” is simply an ownership interest in real property. Real estate lawyers will tell you this is an oversimplification, and it is, but for our purposes it’s basically the guy who owns the land who contracts for a construction project. A “leasehold interest” is an interest in real property through a lease agreement. Again, real estate lawyers will tell you this is an oversimplification, but it’s basically the guy who leases property and contracts for a construction project (i.e., “TI,” or tenant improvement work). On what types of projects can security be demanded? Private projects only. However, there are two exceptions, one based on the type of project and another based on who the owner is. (2) Housing developments subjects to a density bonus. (2) Private companies with a net worth in excess of $50 million. What are the security obligations of an owner of a large project? Security for the Owner’s Payment Obligations: Security for the owner’s payment obligations under the construction contract to be used in the event the owner defaults on its payment obligations to the direct contractor. Construction Loan Information: A certified copy of the recorded mortgage or deed of trust securing the construction loan on the project, if any, and which discloses the amount of the loan. Note: Any provision attempting to waive the security requirements is void against public policy. What kind of security is required? Irrevocable Letter of Credit: An irrevocable letter of credit in an amount not less than 15% of the contracted price for the work of improvement or, if the work of improvement is to be substantially completed within six months after commencement of the work, in an amount not less than 25% of the contracted price for the work of improvement. The maturity date and other terms is to be determined by an agreement between the owner, the direct contractor and the financial institution. Provided, however, that the letter credit must remain in effect until the owner has satisfied its payment obligations. Escrow Account: An escrow account, designated as a “construction security escrow account, in which the owner deposits before the commencement of work an amount not less than 15% of the contracted price for the work of improvement or, if the work of improvement is to be substantially completed within six months after commencement of the work, an amount not less than 25% of the contracted price for the work of improvement. If the construction contract provides for the withholding of retention, retention must be deposited into the account at the time retention is withheld. The owner and direct contractor are required to authorize the disbursement of funds pursuant to a court order that is binding on both of them. 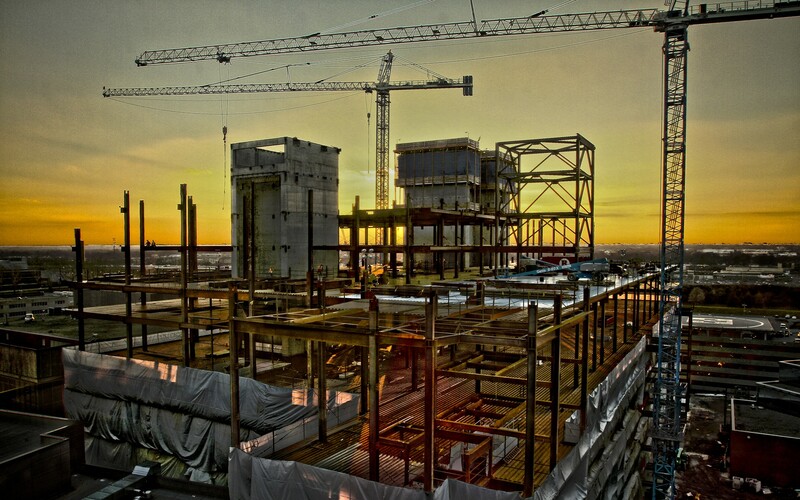 Note: If the construction contract is not lump sum, the amount of security required shall be the guaranteed maximum price or, if there is no guaranteed maximum price, the owner and direct contractor’s good faith estimate of the reasonable value of the work to be performed under the construction contract. What if the owner fails to provide or maintain security? if the owner fails to provide or maintain security, the direct contractor may give written notice (complying with Civil Code section 8100 et seq.) to the owner demanding security. If the owner fails to provide or maintain security within 10 days after notice is given by the direct contractor, the direct contractor may suspend work until the owner provides or maintains the required security. Are attorneys fees recoverable in a lawsuit seeking to make a claim against the security? I’m a GC doing a $10 Million Tenant Improvement project (i.e. leasehold improvement) directly with an advertising firm whose net worth is less than $50 Million, and my standard AIA contract does not have any Owner security provisions and requirements written into it. Two months into the job I get nervous about the Client’s ability to pay and I send him a “show me the security” demand. When he fails to provide that evidence of security within 11 days, I can immediately suspend the work — presumably without contractual penalty — and he can’t ‘legally’ terminate me for non performance or subsequently [successfully] slam me with damages when he fails to move in on time? Or I delay sending that notice until the end of the project when the owner is slow to pay for change order work that he now denies he owes . . .
Hmmm . . . .
Hey Marty. Assuming that the advertising firm in your hypothetical is a private company, that’s correct. You can read the full text of the statute at Civil Code sections 8700 et seq.